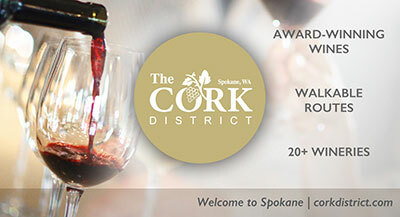 The Journal of Business and Washington Trust Bank will host an exciting new event to celebrate the Spokane business community's Rising Stars as well as past winners. It's Thursday, September 13, at the McGinnity Room, 116 W. Pacific Avenue. The reception is from 5:30-6pm and the program is from 6-8. There will be hors d'oeuvres and no host bar. Tickets are $15. Get yours at spokanejournal.com. 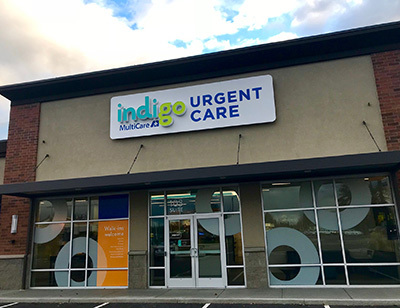 Multicare Health system which operates Deaconess and Valley hospitals and Rockwood clinics, has an Indigo Urgent Care office under construction at 9420 N. Newport Hwy set to open in October. They're also working on a South Hill location, at 4803 S. Regal St in the former Cafe Rio restaurant site. Indigo Urgent Care treats minor health issues for patients of all ages. 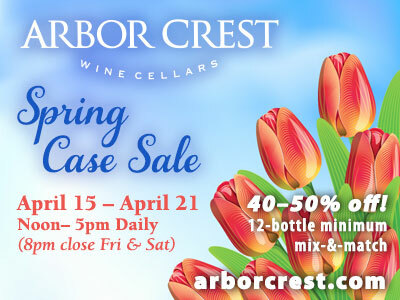 Locations are open 8am-8pm 365 days a year. You can get more information at indigourgentcare.com. First Interstate's acquisition of Northwest Bancorporation, Inc., parent company of INB, was completed at close of business last Thursday, August 16. First Interstate has announced that there are no immediate changes for INB clients. Clients will continue to work with the same bankers, and INB's local leadership remains in place. The data processing conversion and merger of the two banks is scheduled to begin following the close of business on November 9, 2018. On Tuesday, November 13, INB will officially become First Interstate Bank (both INB and First Interstate Bank will be closed on November 12 in observance of Veterans Day). Until then, INB and First Interstate Bank will operate as two separate banking subsidiaries of First Interstate BancSystem, Inc. Over the coming months, INB clients will begin receiving information about the conversion to First Interstate. The Vanessa Behan Crisis Nursery, a local non-profit organization dedicated to preventing child abuse and neglect, celebrated a prevention focused milestone during the month of July. Since opening our doors in 1987, the Nursery has now kept 100,000 kids safe from child abuse and neglect. During our first year, 427 little ones were served and today more than 5,000 children are cared for each year. The Nursery knows there is still much more to accomplish as Spokane County has a higher abuse and neglect rate than any other county in the state. With the recent string of child deaths related to abuse and neglect in the area; the Nursery feels an obligation to step up and see what more can be done to prevent these tragedies from happening. To learn more about the Nursery's new growth initiative to prevent child abuse and neglect, visit www.vanessabehan.org/projecteverykid. This Thursday, August 23, 8-9:30am, YWCA Spokane will hold their 5th annual Law Enforcement Appreciation Breakfast at YWCA Spokane, 930 N Monroe Street. Each year local officers and detectives are nominated based on their professionalism, compassion, and contributions that have had a positive and lasting impact on the lives of survivors of domestic violence. Chosen through a selection process by the staff at YWCA Spokane, award honorees will be disclosed during the breakfast celebration. YWCA is proud to honor the vital work of local Spokane law enforcement who have gone above and beyond the call of duty to support survivors of domestic violence and promote healthy and safe relationships. To learn more and to make a reservation go to ywcaspokane.org. The Spokane Association of Realtors is, once again, preparing to help Second Harvest 'pack the pantry.' The dates for this year's food drive event are Thursday and Friday, September 6 & 7, at all Spokane-area Albertsons stores and the Liberty Lake Safeway store, from noon-6pm both days. They will be collecting food and cash donations to help Second Harvest stock the shelves of partner food banks serving local neighborhoods. If you'd like to support the food drive online, go to: www.crowdrise.com/PackThePantry2018. For every $1 donated, Second Harvest provides 6 pounds of food - the equivalent of 5 meals for hungry people. The gift of food changes lives and gives people an opportunity to succeed and thrive. This fall food drive is a 30+ year annual tradition for Spokane Realtors.